Front of flier for IOWA vs. Purdue Blackout Game to advertise Alma Mater Sweaters. Both schools have black as their base colors. 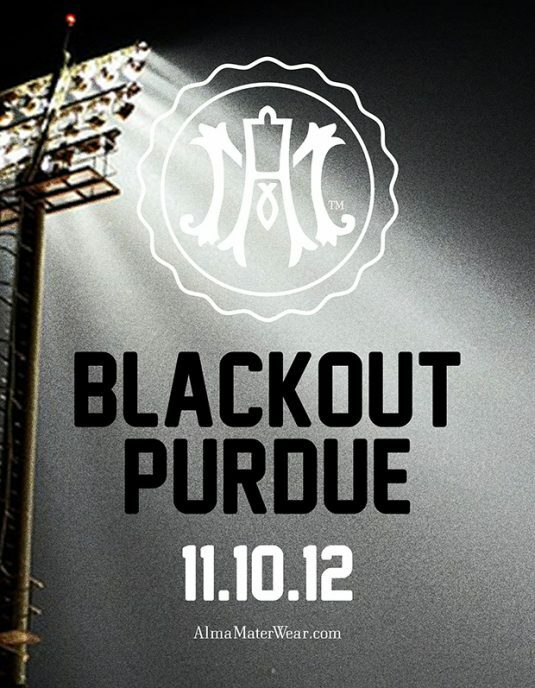 So, during this game the whole stadium looks blacked out, hence… The Blackout Game.